The Doug Watts Distance Gala was hosted by Edinboro University on Saturday. If one were to look at the results, though, it may seem as though the Fighting Scots were one of the only teams competing. 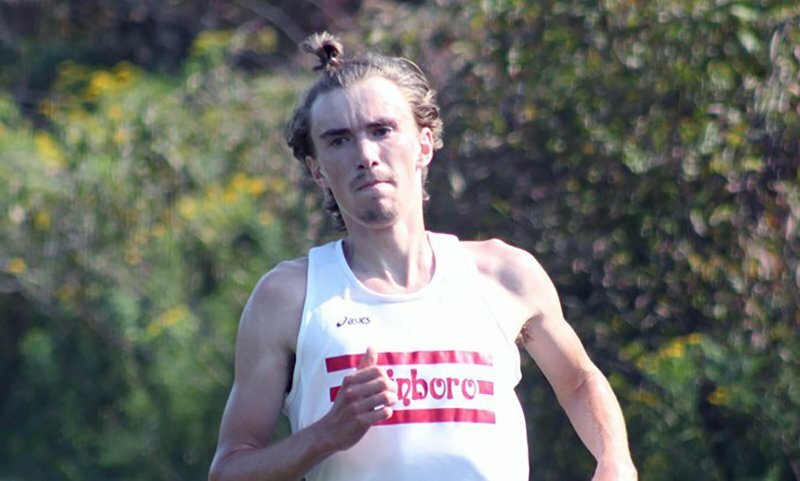 In fact nearly 10 teams competed Saturday morning on the Doug Watts Cross Country Course on the campus of Edinboro, but Boro handled them all. The women’s race was won by freshman Ida Narbuvoll, from Norway, and she was followed by three teammates, Emma Sullivan, Anna Hosel and Abby Lang, whom finished third, fourth and fifth, respectively. That quartet aided Edinboro’s onepoint team win over Slippery Rock. Their male counterparts experienced much of the same success Saturday morning, with Elliot Martynkiewicz winning the men’s race in 25:10.2. Corey Wefing finished second and Jon Gusew claimed fourth place. The men finished with 49 points, good enough for second place, behind Indiana (Pa.). Due to their wins on Saturday, both Narbuvoll and Martynkiewicz were named PSAC female and male cross country athletes of the week. Success was certainly aplenty on Saturday, however, it was just the first week of the season with many more to come. Edinboro will head to Michigan State next Friday for the Spartan Invitational. Tyler Trumbauer is the sports editor for The Spectator. He can reached at sports.spectator@gmail.com.